In need of an easy and tasty instant pot recipe? 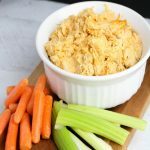 This instant pot buffalo dip recipe is so yummy and it’s an easy appetizer to whip up for a party. This recipe is packed with flavor and you can make it as spicy as you’d like. Adjust the buffalo sauce based on how spicy you want it. I often create two batches, one for the people that don’t like much spice and a batch for those of us that like it super spicey! 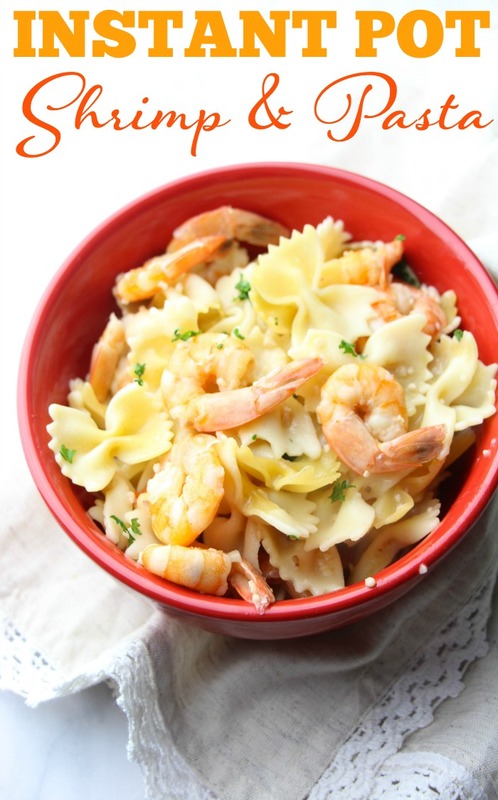 One of my favorite things about this dish is that you’ll probably have most of the ingredients on hand! 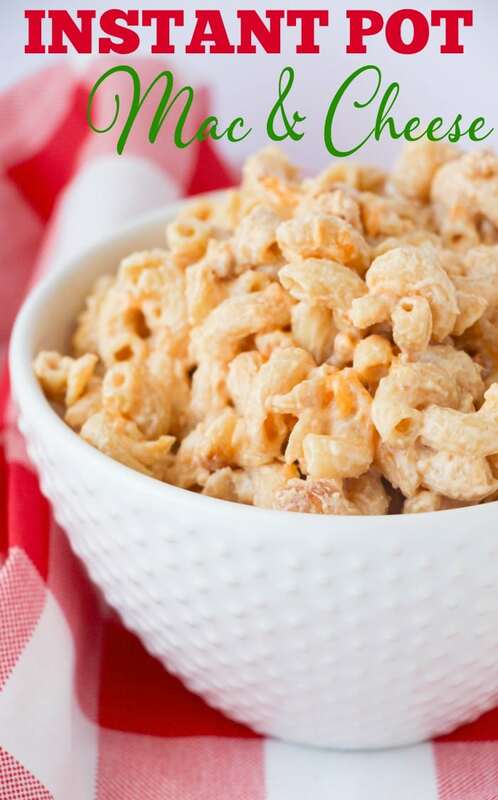 While this recipe uses an instant pot, you can definitely make this without an instant pot. If you don’t use an instant pot then just cook the chicken as you would normally cook chicken breasts. 1/2 cup buffalo chicken sauce – add more if you want this a bit spicier! Place the buffalo chicken sauce, water and chicken in your IP and set to manual for 7 minutes. Natural release and then shred the chicken using two forks. Stir in the cheese and dressing, if using. 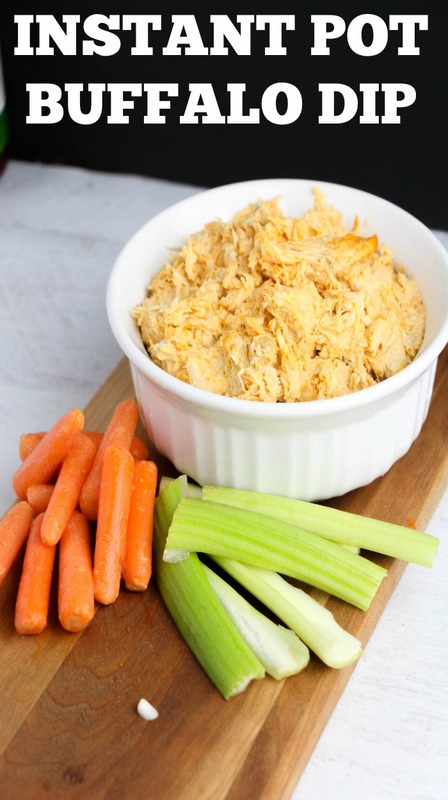 Scoop the buffalo dip into your serving dish and serve with chips, crackers or veggies for dipping. Scoop the buffalo dip into your serving dish and serve with chips or veggies for dipping.